To be consistently growing, one must also be consistently marketing. And with today’s technology, the world of marketing is limitless. One such technological marketing tool is, of course, the ever-famous, ever-popular, email marketing campaign. A well-designed email marketing campaign has the power to drive traffic through a website, increase leads and ultimately grow a business. How can you build and sustain a successful email marketing campaign for a small business? 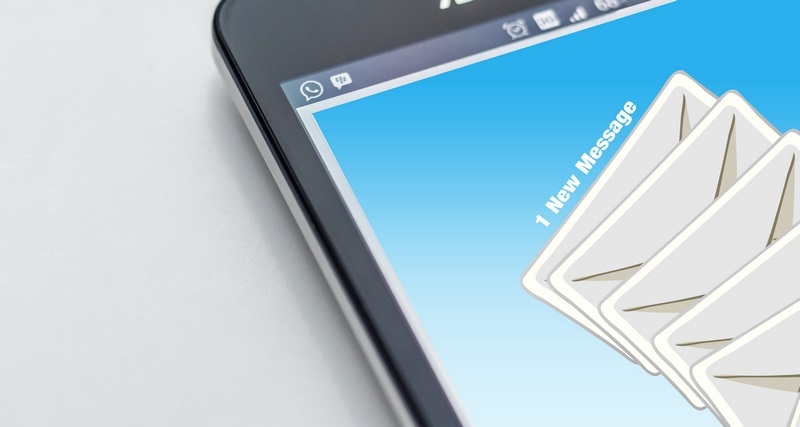 Here are the five tips to get started on a top email marketing campaign. 1. Build your email list. You can’t have a successful email marketing campaign until you first build your email list. Of course, step one when building a list is asking consumers’ permission. No one likes getting unsolicited emails, so be sure to disassociate yourself with companies or organizations that follow those practices. There are lots of ways to get customers’ approval for adding them to your list, such as giving something away for free or offering a newsletter or product updates. When asking for consumers’ emails, be specific. For example: “Sign me up for the free catalog” or “Email me with exclusive offers.” Information like this excites consumers and makes them want to give you their information, rather than trying to gain it sneakily. Once your email marketing list has been thoroughly compiled, it’s time to start sending out some emails. One of the most valuable components of a successful email marketing campaign is personalization. If you can, personalize all of your emails with your customer’s name. Be sure to send emails consistently, from the same email address and—if possible—around the same time. Getting into a habitual rhythm, with consistent and personalized information will help build trust between your brand and customers. This trust then gives you a better chance of your emails being opened, read and acted upon. 3. Choose a simple design. No one wants to read an overwhelming email with crazy graphics or huge fonts. Instead, choose a simple, crisp and easy design that can relay your message clearly. Your email layout should be professional, easy to navigate and most importantly relay your brand and messaging. A busy layout with too much going on will overwhelm recipients and turn them away from your emails, meaning they’ll likely end up in the “Trash” folder. Use a graphic designer on your team, outsource your email marketing or find an online tool to build the perfect email marketing template to help accomplish your goals. 4. Keep copy to a minimum. With a simple design comes simple copy. It can be tempting to go all out on your copywriting in email marketing, and end up writing three whole paragraphs to describe a product or service you feel passionate about. But, your customers don’t have the time to read an entire novel while going through their email; nor do they care about the product or service that much to commit enough time. Instead, keep your email marketing copy to a minimum. Use short, concise paragraphs that can share your message quickly and efficiently. If you do have anything you want to expand upon, include a link to your website or landing page that shares the rest of the story and information. 5. Include a call to action. Finally, the most important step: a call to action. What is it you want email recipients to do? Include a compelling call to action that elicits a response from consumers, such as clicking on a link, filling out a survey or making a purchase. Your call to action should be clear, succinct and noticeable enough to draw their attention. Whichever type of call to action you include, be sure it’s clickable and ready to go. An email marketing campaign is a critical component of any thorough marketing strategy. When executed correctly, it can help draw links through a website, increase leads and even grow a business. Try out these top tips next time you build your campaign to really see what email marketing can do for you.